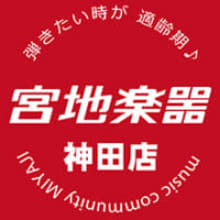 We are a long standing musical instrument shop established in 1917 in Tokyo. y worthy tools for over 35 years. All the staffs we have are players, and experts in instruments, and will gladly introduce authentic vintage or new instruments to you. Our goal is to serve our customers so they can enjoy their “Days filled with music”. Please stop by at our shop and let us hear your needs. We are sure you’ll find the answer you need.